You may have seen the term ‘accredited’ used when describing TEFL courses. But what exactly is it, and why is it so important? Accreditation is a way of ensuring that a TEFL course delivers a promised level of training. Independant organizations known as “accreditation bodies” exist to inspect the quality of training delivered by different TEFL courses. 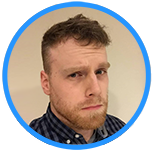 They are generally managed by experienced industry professionals with extensive insight into the world of teaching English as a foreign language. If a TEFL course passes through their checks and interviews, they are awarded the status of being an accredited course, and can display the particular organization’s seals of accreditation. When enrolling in a course which has gained accreditation from a respected accreditation body, especially one which maintains yearly checks on course providers, you can rest assured that you’re getting a course which is worth investing time and effort in. Enrolling in a course with a reputable accreditation can help you in several ways. Initially, it’s useful as you can be assured that you’re investing time and money into a course which has met industrywide standards. The materials, assessment processes should be of a decent standard to supply you with valuable knowledge. It’s also useful during job applications, as having a certificate which holds a widely-recognized seal of accreditation can signal to your potential employer about the standard of training which you’ve received. Similarly, it can help when using your certificate with visa applications. In certain countries you’ll need to go through processes such as notarization and legalization of your TEFL certificate to show that it’s a legitimate document that can be used towards a work permit/visa. 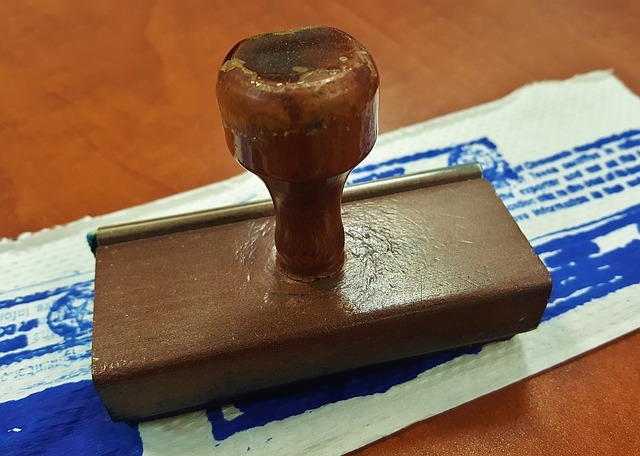 Certificates without an independant seal of accreditation hold less chance of being authenticated. A respectable accreditation body will thoroughly inspect not only a course, but also the organization providing it, and the people who work there. Course checks: They will generally go through each lesson in a course, checking that it provides accurate and complete information for the purpose of training new language teachers. They’ll also check through the assessment process of a course, to ensure that trainee teachers are given accurate feedback and graded in a standardized way. Team checks: Key people in the organization may also have background and qualification checks. Accreditation bodies such as WTEFLAC require that those involved with course development and user grading have at least 3 years of experience in the ESL industry. Organization checks: A good accreditation body will also require varification of a company’s business details to ensure they’re a legally registered entity which is able to charge for its services, and pay taxes in their respective region. Are all accreditation bodies the same? No – there many different accreditation bodies which exist independantly of each other. Some have rather minimal checks, and others are much more thorough. How can I be sure that a course's accreditation is authentic? This can be pretty simple – just check out the accreditation body’s site and they should have a form or page which you can use to check if a particular course provider really has passed their accreditation or not. Can I save money by getting an unaccredited course? It might be possible to save money by getting a course which has no accreditation. However, if such courses haven’t invested significant time and care into this process, there’s no guarantee that they can deliver the training you need to not only land your dream job – but to also perform well in the job when you start teaching. Is IATEFL an accreditation body? No – IATEFL isn’t an accreditation body. They’re a membership organization which provides information and events for the TEFL community. However, they don’t specifically inspect courses or provide a seal of accreditation to them. We would recommend exercising caution with any company which presents IATEFL’s logo in regards to accreditation. 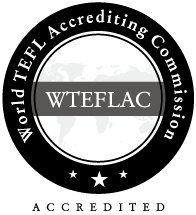 WTEFLAC is an internationally respected organization which awards their seal of accreditation to worthy TEFL course providers. Our course materials, learning and examination methods, tutor experience, business registration details, and code of conduct have all been thoroughly inspected to ensure we provide a truly reputable course. “The World TEFL Accrediting Commission (WTEFLAC) is an accrediting body of TEFL/TESOL courses and course providers. We were set up to drive up standards in the TEFL/TESOL industry. We aim to set a bench mark of excellence that all course providers can aim to achieve.